Baccarat has long been a favorite of casino connoisseurs who prefer their gaming to be classy and sophisticated. Live dealer baccarat gives people the same experience without leaving the comfort of their own homes. An elegant affair involving an ornate table, multiple dealers manning the deck, and several players passing around the shoe, baccarat is the game many people picture when they envision a casino experience. Like other casino favorites, baccarat has been adapted for online gaming in recent years, but unlike poker and blackjack, the game’s distinct charm and appeal just can’t be easily replicated through pixels and graphics. Baccarat requires the deft hand of a seasoned dealer to translate the complex tableau of drawing rules, and the game just isn’t the same without an actual deck of cards being passed around the table. Simply put, you can’t sweat the result of your final draw, squeezing the last card slowly before revealing it to the table when you’re just staring at a computer screen. Today, thanks to the technological advancements made by live platforms, players can finally recreate a genuine baccarat experience from the comfort of their own homes. Live dealer baccarat comes in several fun-filled formats, including standard, progressive, and bonus versions, and by utilizing the latest in-live streaming capability, the sights and sounds of an actual casino come straight to you, providing that ‘real’ gaming feeling everyone is looking for. 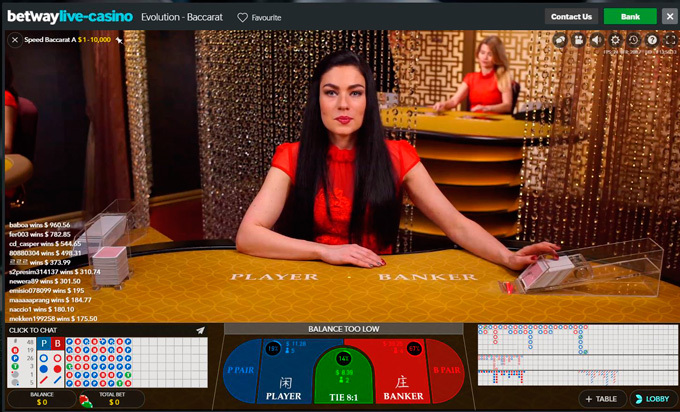 The foundation of live dealer baccarat is live streaming, which allows casinos all around the globe to record actual dealers operating baccarat tables in real time. By connecting you to those tables through a one on one interface, you can interact with the baccarat dealer and place your bets on the banker or the dealer’s hand, before watching the cards hit the felt one by one. As every seasoned baccarat vet knows, the heart of the game comes from working your final draw. The last card delivered your way can make or break the hand, so baccarat players love to slow things down and savor the anticipation. Unfortunately, regular online versions of the game remove this ritual, replacing the sweat with flashing graphics that instantly arrive on your screen. For many longtime baccarat players, losing this aspect of their favorite casino game was too much to bear, and the online baccarat industry has always struggled to match the live version’s overwhelming popularity. 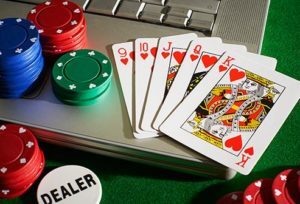 The beauty of live online baccarat is the inclusion of a trained baccarat dealer running things from behind the table. She knows how the game is played, so rather than instantly turn your final draw over and removing the sweat, the dealer will take their time and let you have a little fun. It may not seem like much, but online baccarat players are flocking to the dozens of live dealer platforms operating today because paying attention to the little things truly does make a big difference. Playing a game of live dealer baccarat is simple and easy because having an experienced dealer with the deck in hand removes the guesswork. After you’ve placed a wager on either the player or banker’s hand to win, the relative value of the first two cards dealt to each hand determines whether a third and final card will be drawn. A complicated set of rules known as the tableau governs this drawing round, and many newcomers to the game find the whole process to be rather confusing. Even experienced baccarat players can have trouble following the translation of the tableau, so having a certified dealer on hand to make sure the player and banker’s hands take a third card when necessary certainly speeds the game along. When navigating the menu on various live dealer platform providers, you might notice two distinct versions of the game being spread. Standard baccarat is played with the standard seven-player table, meaning you’ll be seated alongside up to six other players during each hand. Everyone’s betting on the same results though (player or banker), and the bets are going against the house, so you shouldn’t be too concerned with the presence of neighbors at the table. Mini baccarat just takes this one step further, removing the six other player boxes from the table and putting you in a one on one game against the dealer. 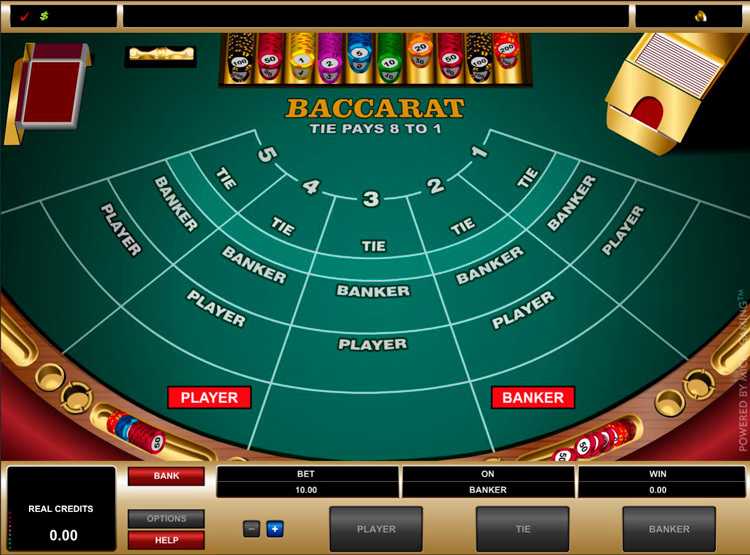 The on-screen interface will differ slightly between standard and mini-baccarat games, but in all actuality, the gameplay remains the same for both versions. By simply betting on either the player or banker hand to win, you can take your shot at either standard or mini-baccarat and enjoy the same famously favorable house edge of as low as 1.06 percent. Every game of baccarat offered within a live dealer platform is designed to recreate the look, feel and mechanics of a brick and mortar casino baccarat table. The rules of the game are standard, based on how you would play if you were actually at the casino. Placing Your Wager. First, a wager must be placed. Players can bet on their hand to win, the banker’s hand to win or bet on a tie. Dealing the Cards. The dealer of the game will deal two cards face-up to each player and the Banker. In some instances, a third card is dealt to the player and/or Banker based on the Third Card Rule. A winning hand is then determined based on the traditional tableau of drawing rules. Basically, the card values of each hand are added together, with cards 2 to 9 being counted based on face value. Tens, Jacks, Queens and Kings are worth zero while an Ace is one point. Who Wins the Hand? The individual with the hand total that reaches closest to nine is the winner. Winning bets will be paid on a 1 to 1 ration and a tie bet, which is rare, will earn an 8 to 1 payout. The third card rule is another section of baccarat rules that must be understood when playing online baccarat live dealer games. There are certain scenarios when a third card will be dealt during gameplay. If either hand, the dealer or the player, has an 8 or 9 total, then this is a natural and no more cards will be dealt. If an 8 or 9 is not on the table, the dealer may deal a third card. if the player’s card total is less than or equal to 5, then a third card is provided. If a third card is not drawn and the banker’s hand is a 6 or more, the handstands. If the hand is a 5 or less, a third card is taken. If the player does take a third card, then the banker’s third card rule will determine if a third card is taken. If the banker has a 2 or less, then a card is drawn, no matter the third card of the player. If the banker has a 4, then a third card is dealt unless the third card of the player is a 0, 1, 8 or 9. If the banker has a total of 7, they stand. The Third Card Rule can seem confusing, so it is helpful to have a trained dealer to assist. A top-rated online baccarat casino will ensure properly trained dealers to assist when an explanation of the rules is needed. When it comes to online baccarat live dealer gaming, there is a house edge and odds. Just like any other casino game, it is important to learn more about these aspects to ensure you place the right bets during gameplay or correctly use gaming strategy. The house edge for live baccarat online will be dependent on the number of decks used in the game as well as the type of wager. With one deck, the house edge is 1.01% on the Banker bet while the Player wager is 1.29%. With the Tie, the house edge is 15.75%. With six decks, the house edge for the Banker bet is 1.06% while the Player is 1.24%. The Tie wager has a house edge of 14.44%. An eight-deck game has a house edge of 1.06% on the Banker, 1.24% on the Player wager and 14.36% on the Tie. When it comes to live dealer baccarat odds, the game provides players with a good chance of winning when compared to other casino games. Since the Tie wager has a large house edge, it is not a recommended bet. Odds are that this bet will be lost most every time. Wagering on the Player or Banker are much safer bets. Strategy dictates that placing the Banker wager will be more beneficial than placing a Player bet, even though the Player wager is still a good option. Mathematically speaking, the odds favorite is the Banker bet. 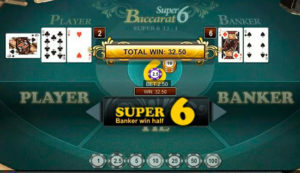 Super Six Baccarat is a variation of baccarat with a different payout structure than the traditional game. Also known as Punto 2000, Super 6 is a great way to enjoy another version of the game. This game starts the same as traditional baccarat. Players place their wager on the Banker, Player or Tie and the hands are dealt based on third card rules. The payouts of Super 6 are the same regarding the Player and Tie. A Player wager payout is 1 to 1 while a Tie is 8 to 1. It is the Banker payouts that are different. For a winning Banker wager, instead of paying 0.95 to 1, the game will pay 1 to 1 on a Banker bet win, unless the Banker wins with a 6. If a 6 is the winning total, the payout will be split in half to 0.5 to 1. With this game, there is also a side bet provided as insurance to a Banker 6 hand win. If you choose the Super 6 side bet, then you are betting that the Banker will win the hand with a 6 score. If you win the side bet, the wager pays 12 to 1. With this baccarat variant, the excitement of land-based play can certainly be felt. The game plays similarly to the traditional baccarat game with the same betting options and card dealing process. However, it is the third card dealing where the true fun begins. The hand that has the highest total wagers will have its third card squeezed as a highlight during the game. As the card is zoomed in on, the result of the reveal is a cinematic experience, providing heightened excitement for every player. With this game variant, players are sweating the action, just as they would if the game was being played in a land-based venue. This makes gameplay much more exciting and interactive, even from home! Innovative camera work makes the squeeze sequences possible, providing an added element to the gaming experience. Once you’ve placed a wager on either the player or banker’s hand to win, your job is done. The dealer will take care of the rest, which is what makes baccarat such an enjoyable game for gamblers of all types. The power of the live dealer baccarat platform means you’ll always have a capable, experienced dealer in the box to interpret the rules and run the game. A well-run table deals out more hands per hour, and in a player-friendly game like baccarat that boasts an extremely low house edge, increasing your hand volume is actually one of the secrets to long-term success. With that said, it’s always a good idea to take a few minutes and read over the house rules for whichever live dealer platform provider you happen to choose. With several different formats of the game on the menu, including those with bonus bets and other wrinkles, it’s best to know exactly what version you’re diving into before breaking off a piece of your hard earned bankroll. There are several online casino options available when it comes to online live dealer baccarat gaming. It is important that players find reputable online casinos in their region to ensure quality gameplay as well as the best banking options, security, etc. Below is an example of an online casino offering real money online baccarat gaming for US players as well as for non-US players. The best option for online live dealer baccarat gaming for players located in the United States is BetOnline Casino. The casino even offers special promotions for new players. When trying the live dealer baccarat games at BetOnline, take advantage of a $25 free bet. This special bonus applies to your very first live casino wager only and can be accessed by contacting customer support. Simply email Casion@betonline.ag with your Game ID and your BetOnline Account ID within a 24 hour time frame of placing a $25 bet on live dealer baccarat and you will be given a $25 bonus that can be used for sports freeplay. At BetOnline, you have two choices of baccarat in the live dealer section, one with a female dealer and one with a male dealer. Choose your dealer first, then decide if you want to play for 5 to 100 table limit, 25 to 500 or 250 to 5000 table limit. Once you have played live dealer baccarat and want to cash out, there are several payout options available. Choose from Bitcoin, Litecoin, NETELLER, Skrill and Money Orders among other options. 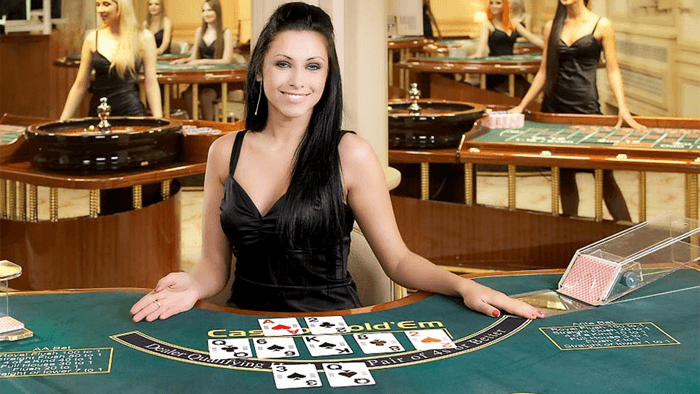 The best option for non-US players when it comes to online live baccarat gaming is Betway Casino. Here, players will have access to seven baccarat live dealer tables, with limits ranging from $1 to $10,000. Whether you want to try out the game for the first time and wager very little, or go all out with big bets, the option is available to you. At Betway, there are several options for live dealer baccarat gaming, including Speed, Control Squeeze, Squeeze, traditional baccarat and No Commission. 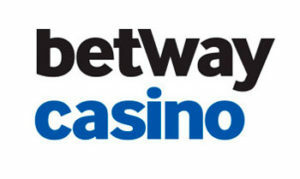 For payout options at Betway, players will have access to a plethora of withdrawal options based on location.